If you know the story of Saint Francis, he was a kind person that rejected his father’s riches and lived a simple life helping people and animals. 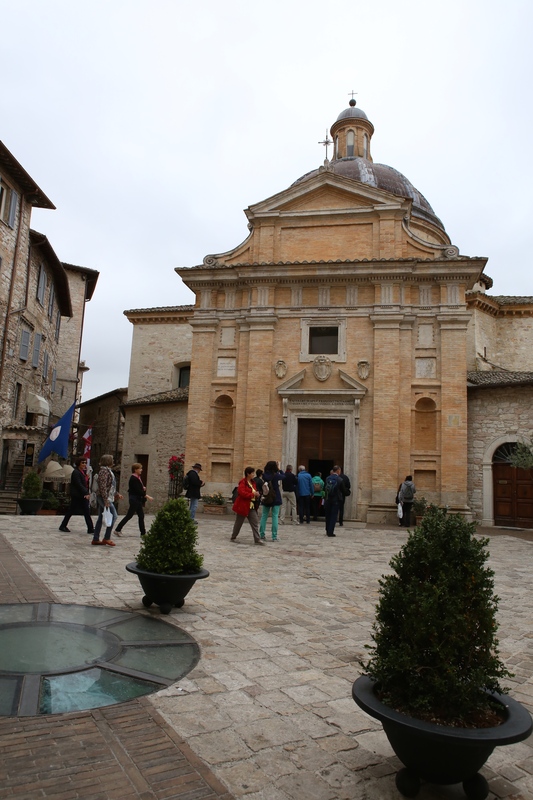 He was ordained in a very small church outside of Assisi. Today a huge cathedral was built around it. Inside you can still see the original small church. Most visitors never see this church. 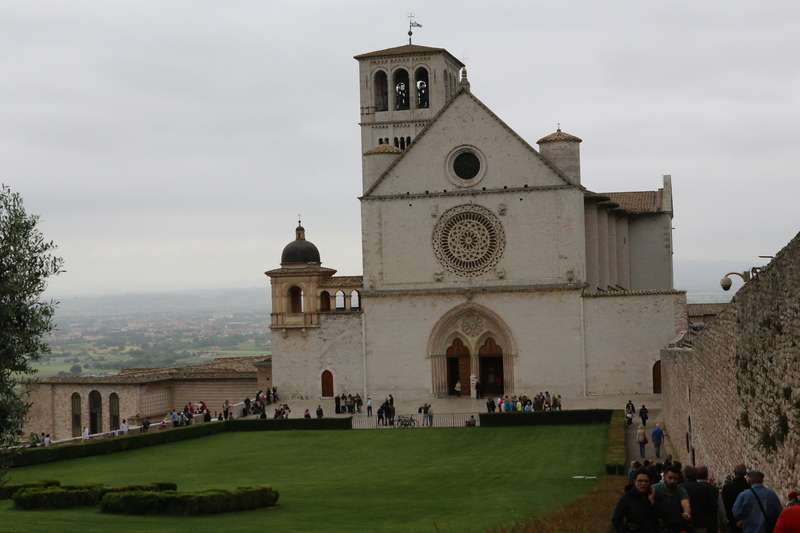 They know the two-story cathedral in Assisi with the massive lawn in front. 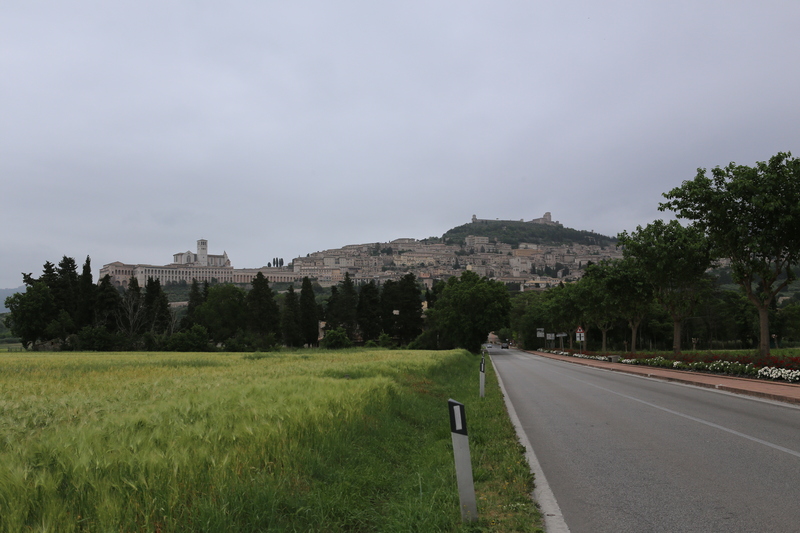 Assisi is built high on a mountain and this church is at one end overlooking the valley below. 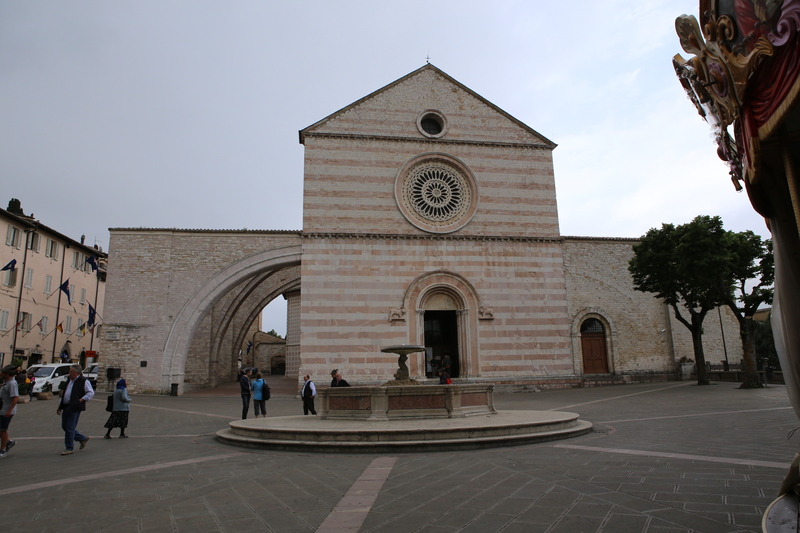 Saint Francis’ remains are in this church. 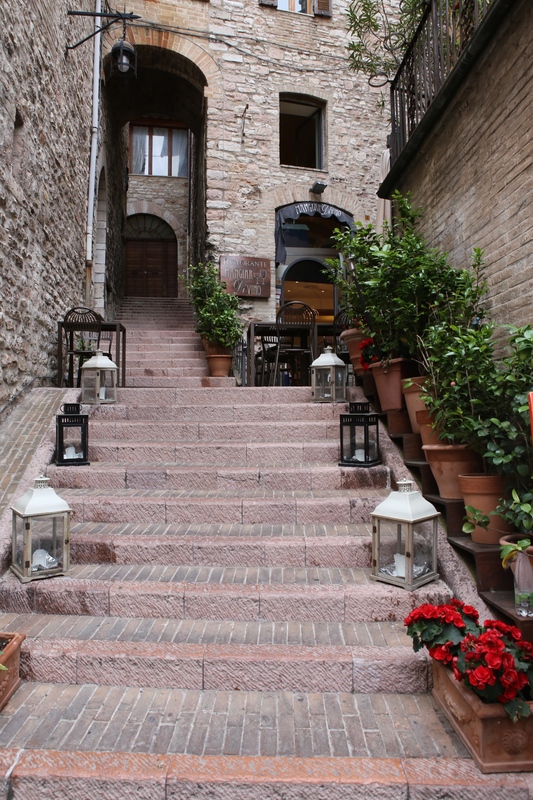 Assisi is a typical small Italian town with lots of charm. 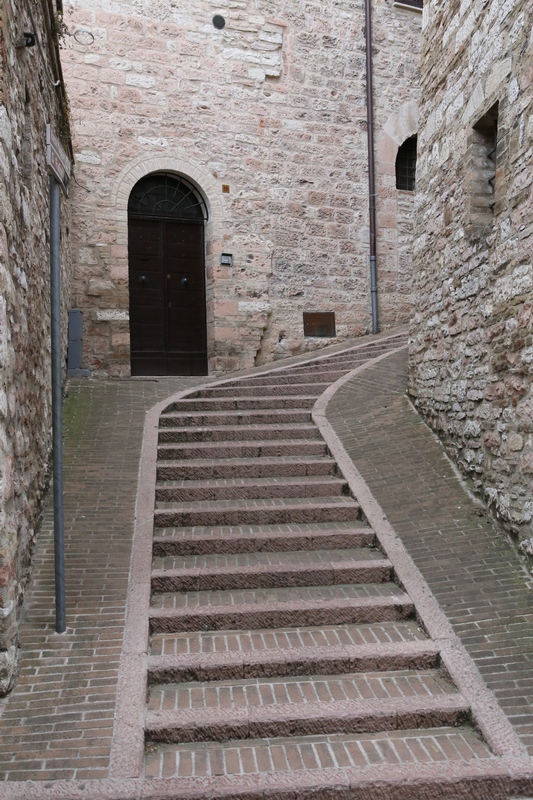 It has the typical small streets and paths that turn into stairs … lots of stairs. If you drive, there are several parking lots outside of town. We chose the central parking lot (nearest the main piazza). 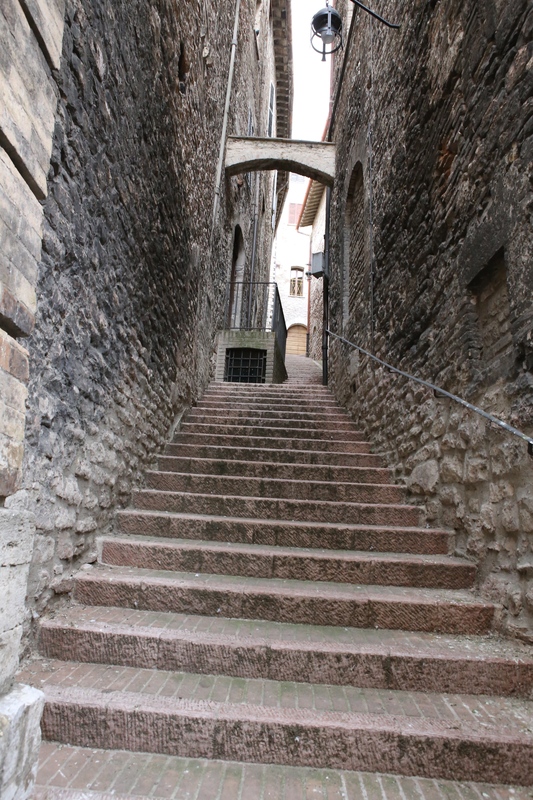 There are stairs up to the city. These are easy lots to get in and out of. Parking payment is at a machine in the garage. You get a ticket and leave it on your dashboard. 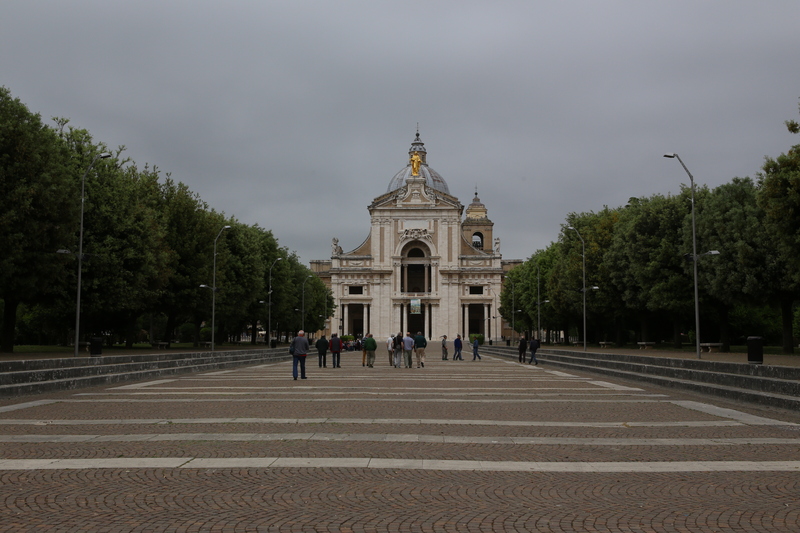 There are other churches and piazzas as well. 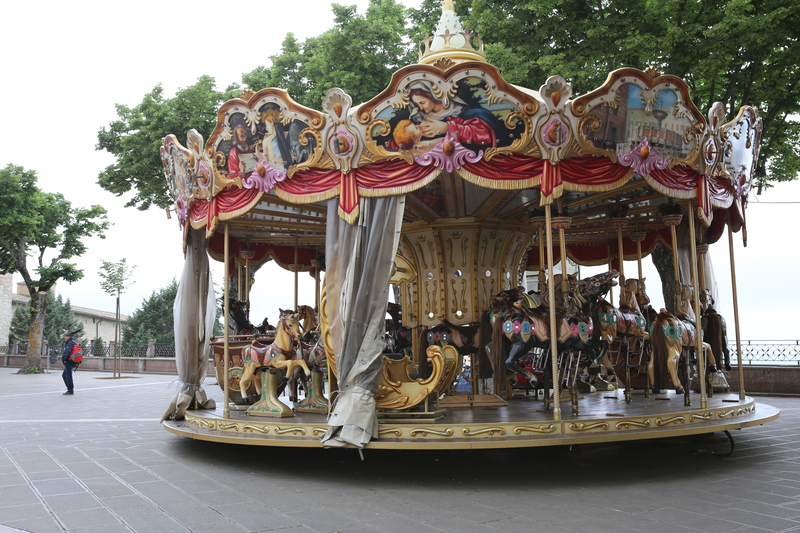 One even had a merry-go-round. The streets and friendly people are a welcome to any visitor. 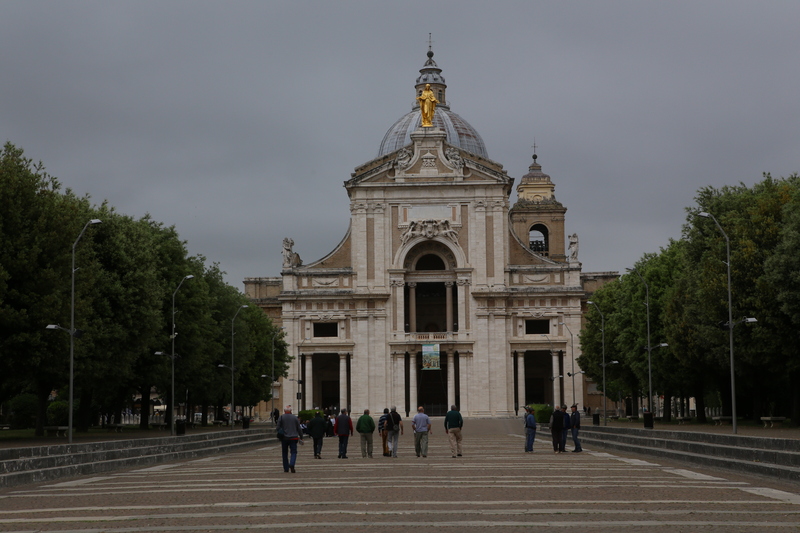 Here you will see Franciscan Monks walking as well. 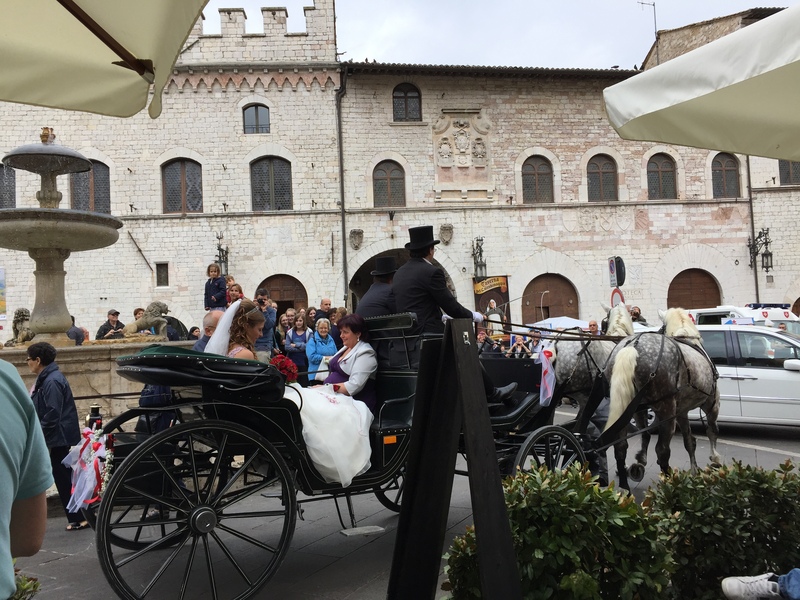 While enjoying an afternoon wine and snack in a piazza, we saw a bride on the way to her wedding with mom & dad close by. 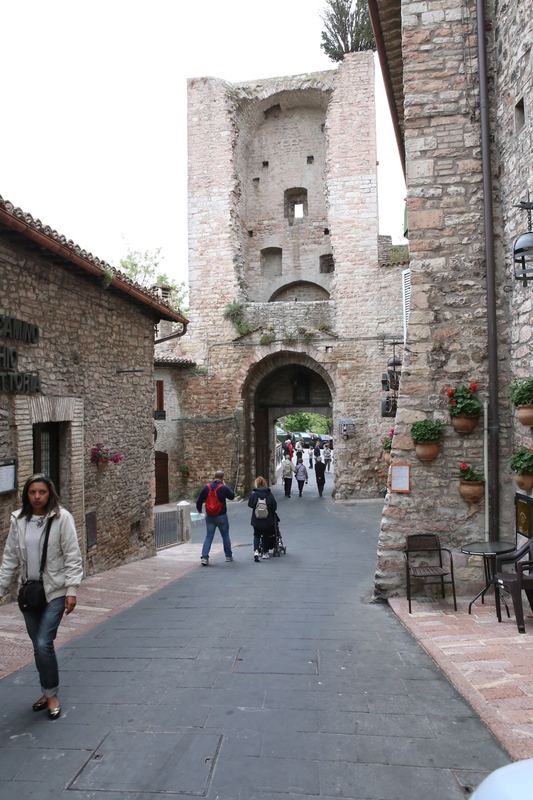 Assisi is a tourist town but you can sit back, enjoy it and watch life go on around you. 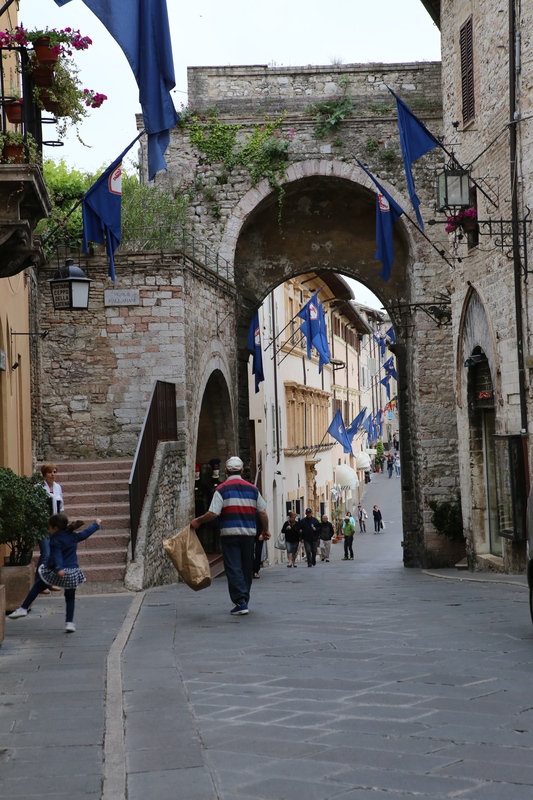 In Italy never miss these moments to stop being a tourist and observe life and fun around you. It’s there, you just have to look. 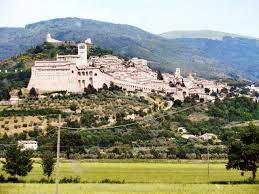 Tomorrow we are off to Cortona (Under the Tuscan Sun).